It is said by some that Internet Marketing is is not complex, but the truth is that 99% of persons fail to make money at there first attempt at Internet marketing. The reason is that Internet marketing takes a lot of discipline and patience for you to succeed. Most of the top Internet Marketing Gurus will tell you when they started they lost a lot of money initially, because they were naive and made a lot of mistakes along the way. Most of the top Internet Marketers will tell you the money is in “Email List” An Email List is a collection of subscribers who opted in to a Sales or Landing Page on your website where they have to enter there particulars like email address and name. Chances are that most persons who visit your Website will not return to it again. Therefore when you collect there email addresses you can market products to these subscribers over and over again. The larger your Email List, is more likely the more money you will make. That is why it is very important to set up a landing page to capture the details of visitor to your website. If you haven’t being doing this yet, it is advisable to start doing so today! Two main methods to do this is to set up a “Call to Action Page” enticing visitors to enter there name and email address and then redirect them to your main Website. The other method is to install a pop-up Call to action script on your Website offering a free report when visitors are leaving your Website. Affiliate Company you sign up with is a reputable one.Trust me on this one there are some Affiliate Companies out there that are crooks that will steal your commission or even your subscribers and will not pay you on timely basis. I learned this the hard way when i started doing Internet Marketing over 6 years ago. Some of these Companies also provide poor Website Usability and also poor Customer Service which will determine if you make a sale or not. Research can easily be done online by using Google Search Engine to see what persons are saying about these Affiliate Companies. It is also best to join Affiliate Marketing Forums and Groups and also hear which Affiliate products are converting well and which Companies are the best ones that are reputable. Clickbank.com, Amazon.com, Clicksure.com, jvzoo.com and Paydotcom.com. Peerfly.com and Maxbounty.com are my top choices for CPA or cost per action programs. There are several others out there, you can search on Google, but these are some of the big ones that I use to make money online. Choosing the wrong Niche Market is also one of the biggest mistakes that newbies to Internet Marketing make. It is best to enter the ones that are tried and proven and are sure to give you a good returns on your investment than one that is new and the viability of it is uncertain. Some of the Best Niche Markets to enter in are Make Money Online, Weight Loss, Dating, Forex Trading, Acne Removal and Treatment or other Health Related Niches that offers Health Solutions. Unless you are an experienced Internet Marketer it’s best to start in these niches than new ones. Some experts will say that with New Niches there is little or no competition so these are the ones to enter into. But unless you have a lot of money to spend or have the patience and can take risks, I would not recommend them. 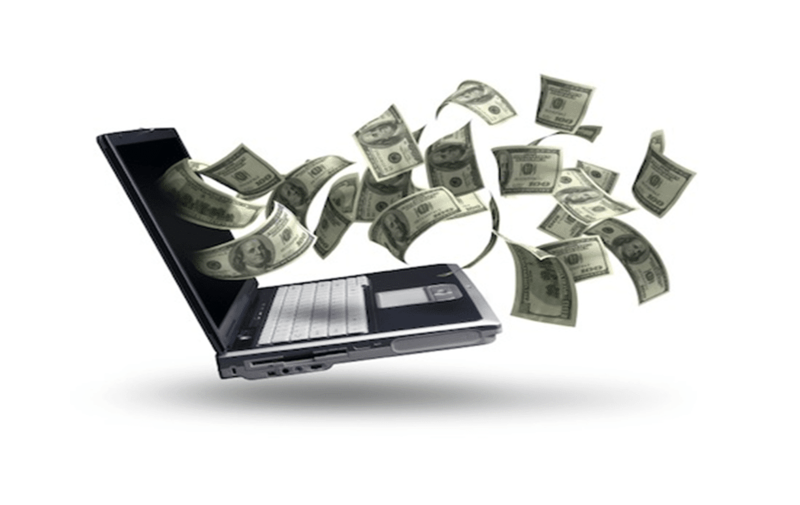 If you want to make money online quickly it is best to stick with the Niches mentioned above. The biggest turn-off to any visitor to a Website are tons of Ads popping out at them. It’s like you are channel surfing on your TV, you would definitely not settle on a channel that is constantly bombarding you with Advertisements. When persons visit a website they are usually looking for solutions or information and not necessarily something to buy right away. Thus it is very important to strike the right balance of offering visitors to your Website or Blog with Quality Information and at the same time to earn money an income from Ads. Its no secret that Websites and Blogs with plenty of Advertisements get poor Search Engine Ranking from Search Engines like Google. Furthermore High Search Engine Ranking is the main source or organic or free traffic Online. The opposite also applies, there are some owners of websites or blogs that don’t monetize them with Ads or the ads are too small or not visible, so visitors to the website don’t click on them. If you are an Internet Marketer, your aim is to make money when you gain traffic or human visitors to your Website or Blog. So it is very important that your Ads are visible or strategically placed. Research shows that an Ad placed at the top of your Website or Blog receives more clicks than any other position. So that should be taken into consideration when placing Ads on your Website. It is also recommended to place an Ad at the bottom also to grab attention of your visitors when they reach the bottom of your Website. Its is important to tweak the positioning of your ads as you go along and settle with what gives you more clicks. Investing in PPC (pay per click) Ads is one of the best way to get good quality traffic and sales to your website but it can also be very expensive if you do not know what you are doing. I have known Internet Marketers who have spent up to $50,000 on PPC and made only minimal returns or even nothing on there investment. Proper research has to be done and the right tools use to analyze current market trends. It is also important to use high converting products in this kind of marketing campaign or choose a niche with a high search volume for you to profit from PPC Ads. If done right the returns can be great but it takes a lot of careful analysis and research. It is recommended to learn the ins and out of PPC Ads before you attempt it. This could be the difference in you losing tons of money or earning a substantial amount. There several courses out there online which offers you insights on how to start, maintain and be successful in such a marketing campaign. Traffic is the lifeblood of Internet Marketing success. 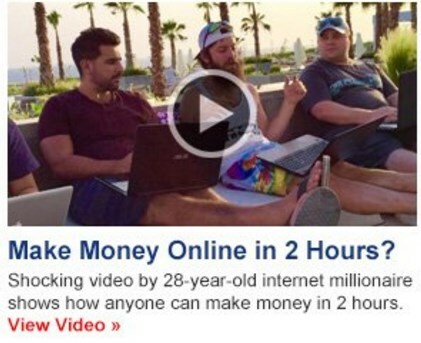 Without traffic its impossible to make money online. But most Internet Marketers go for quantity over quality. There are plenty of Websites out there that offers cheap traffic but most of the time the quality is very poor. I would rather to buy good quality traffic that gives me good conversions into sales than thousands of inferior traffic that only gives me clicks to my websites. In fact I think most of these websites that offers thousands of visitors to your website for a small amount of money are using bots to send clicks to your website. Most importantly when you buy traffic, it should be targeted traffic. The main aim is to make money from sale conversions and not just to get clicks to your website. Search Engine Optimization or SEO should be a big part of your traffic campaign for it provides good quality targeted traffic to your Website. Most persons who use search engines are looking for something to buy or are interested in something in particular. Best of all SEO is FREE TRAFFIC and won’t cost you a cent unless you outsource this method to SEO Experts who are aplenty online these days. Websites like Fiverr.com provide these service for cheap but not sure about the quality of there service. I stick to what works for me. PPC Marketing is also a good source of quality targeted traffic but as mentioned earlier can be very costly if you don’t know what you are doing. 3. Article Marketing: i.e. writing quality articles in your Niche and submitting to Article Directories which is also good for SEO. If your quality article gets high ranking in the Search Engines it will provide you with quality targeted traffic. Article Directory like Ezinearticles.com and Articlefactory.com gets tons of targeted visitors each month. 4. Classified Ads Sites: They are plenty of them on the Internet that you can add your website to. I personally use a classified ad submission service like classifiedsubmissions.com to automate the process. (They submit your ads to over 500,000 Classified Sites Instantly.) Click Here To Watch Youtube Video. Thousands of individuals are making tons of money online from Internet Marketing and you can too, if you avoid these basic mistakes. You can Make Money Online if you don’t have a website of your own or even if you don’t have any money to invest. I highly recommend for Newbies to sign up for Mark Ling’s Course AffiloBlueprint This is one of the courses that got me started in the Internet Marketing game and i have heard some great reviews from other persons. 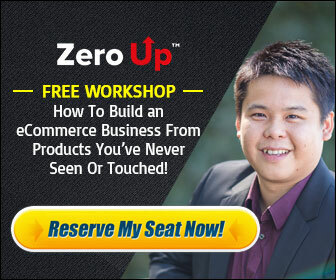 CLICK HERE to Gain Instant Access To his Website and let him teach you how to make money online with Internet Marketing. Let Internet Marketing change your life today!! !